CLT-600 Modular Clarifier System Base 11034350 https://www.kaercher.com/us/professional/water-treatment-systems/oil-water-separation/clt-600-modular-clarifier-system-base-11034350.html The CLT-600 water clarifier system can be applied as a pre-treatment, post-treatment, or as a stand alone treatment system. It features a 600-gallon tank with lid and manual purge at the bottom to handle any wastewater/oil purification job. The CLT-600 water clarifier system can be applied as a pre-treatment, post-treatment, or as a stand alone treatment system. It features a 600-gallon tank with lid and manual purge at the bottom to handle any wastewater/oil purification job. The CLT-600 is an above-ground, cone-bottom tank used to enhance existing pit systems that may be too small or do not provide adequate pre-treatment. 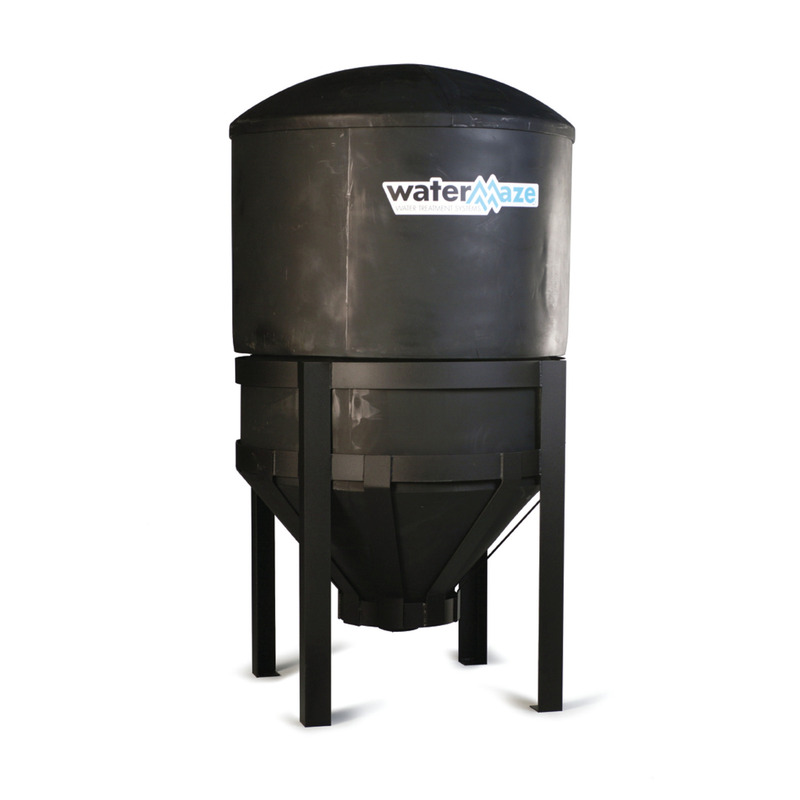 With its 600-gallon capacity, this cone-bottom tank can provide lower clean-out maintenance costs compared to many in-ground pit systems, and it can be applied as pre-treatment, post-treatment, or as a stand alone water clarifier treatment system. The CLT-300 utilizes cross-linked polyethylene cone-bottom tanks with steep, 55-degree slopes for maximum solids separation. Each tank has a full open top with removable lid and includes heavy duty metal stand with cradle. These base models are also incorporated into other Water Maze clarifier models and can be an economical alternative to expensive pit system reconstruction costs.